Just for today – BE YOU. Be You with every thought, word and deed. Be confident in your own abilities and knowledge. Trust yourself with the decisions you are currently making. Step out and BE YOU. No comparison, no judgement. Take back your self confidence. How? Every morning, upon waking, make the decision to be fully and completely you. Write a new story for this day of your life, speak it out loud or write it down upon waking. Feel the excitement and joy rise up in your being for being YOU. And if anything gets you down during the day, or you feel your confidence hiding away again, or you procrastinate on something because you are fearful – recall your story, allow yourself to step into that amazing being that is YOU. BEING YOU is the theme for this day, for every day. BEING YOU is what brings you to purpose. BEING YOU is what brings you to healing, BEING YOU is what brings you to love. BEING YOU is what brings you to fulfillment. 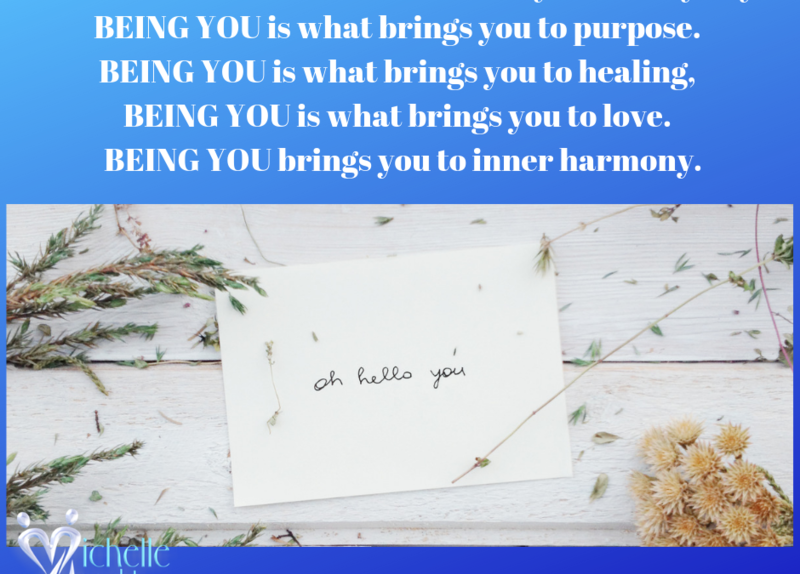 BEING YOU brings you to inner harmony.